The Insurance Regulatory Authority of India (IRDAI), in a circular issued on 11 December,has unbundled the thirds party insurance cover that you buy for your vehicles. In other words, it has now mandated that you will need to buy your standalone personal accident cover for the owner-driver, separately, effective 1 January 2019. Till date, whenever you buy a vehicle (be it a 2-wheeler or a car), you would generally buy a comprehensive vehicle insurance policy. This would insure your vehicle against theft, damage and a third-party insurance cover (for any damage caused by you to another person’s vehicle) and a personal accident cover for the owner-driver. As per the Motor Vehicles Act, 1988, the third party insurance cover, as well as the personal accident cover, was made compulsory. Here’s the problem: what if you want to own two new cars? For that at present, you have to buy two personal accident covers even though you would be driving both these vehicles. This will now change. IRDAI has now split the insurance policy into two parts; one will contain the compulsory third-party insurance cover or the comprehensive insurance cover and the other is a personal accident cover; the latter would now be a stand-alone cover. Earlier, the personal accident cover was mandatory, along with the third-party insurance policy. Now, since the personal accident cover has been unbundled or split from the comprehensive vehicle insurance policy, the personal accident cover has been made voluntary. Devendra Rane, Founder & Chief Technology Officer, Coverfox.com told one single personal accident cover the customers would buy henceforth, would cover for all the vehicles owned by her. “This would bring down the additional premium outgo that customers used to pay because they were mandated to buy multiple personal accident covers before,” he said. Let us understand it with an example. If you had two cars, in the earlier scenario you had to buy two personal accident insurance policies (part of the two comprehensive vehicle policies). Say, your accident covers were Rs.15 lakh per vehicle. In this case, your premium outgo would have been Rs.1,500. Now, since you only have to buy one personal accident cover, your outgo would be Rs.750. This is the case for a 1-year policy. If you had bought a 5-year policy, your premium outgo would have been more. Henceforth, your third party insurance cover continues to be mandatory; your personal accident cover is voluntary. You may choose to buy this cover or not; IRDAI has left the choice on you. Moneycontrol recommends that despite personal accident cover being made voluntary, it’s essential that you buy this cover. But what if you already have a personal accident cover through a term life insurance policy that you would have already bought? In that case, is there merit in buying, another, standalone personal accident cover? Remember, a standalone personal accident insurance cover is meant only for the owner-driver of the vehicle; this coves any damage (accidental death, total permanent disability and partial permanent disability) caused to you or the owner of the car.Sajja Praveen Chowdary, Business Unit Head- Motor Insurance, Policybazaar.com told Moneycontrol that customers might have a personal accident cover as part of a broader term life policy. The accident cover in such policies typically covers motor accidents, but covers other, albeit freak, accidents as well, such as falling from stairs. 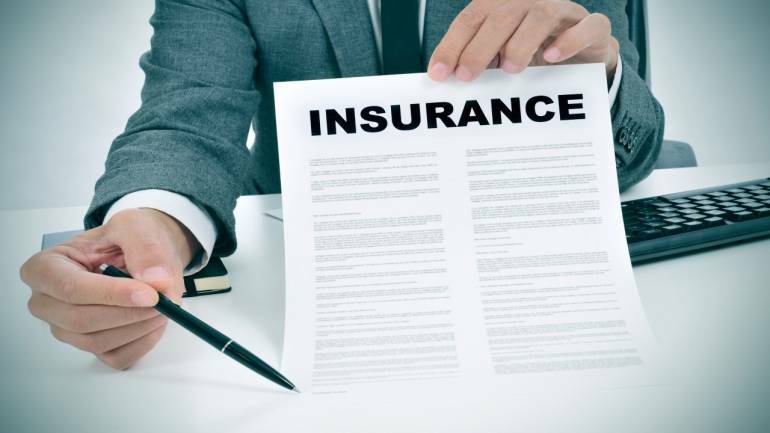 “IRDAI has clarified that if a person already has a separate standalone personal accident cover (as part of her life policy), then there is no need of the separate personal accident cover as a part of vehicle insurance,” he said.